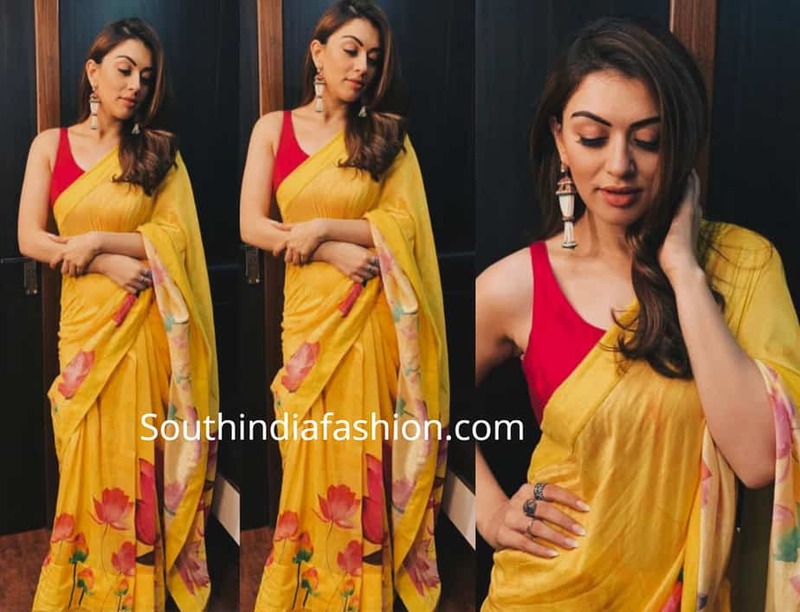 At a new movie opening event, Hansika was seen in a yellow floral printed saree by Masaba paired with red sleeveless blouse. Pearl earrings by Rahul Luthra, subtle makeup and wavy hair rounded out her look! 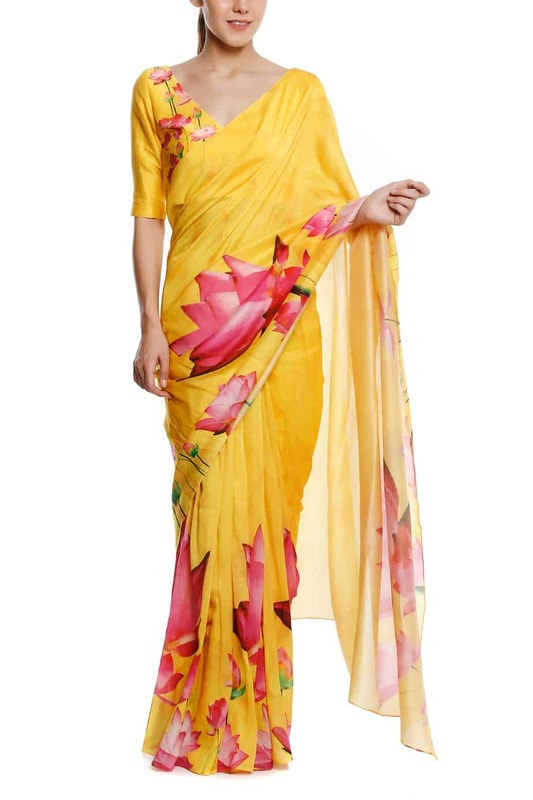 Shop this printed Masaba saree online HERE! Trendy Work Wear Sarees by “For Sarees”! 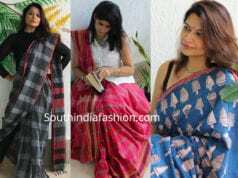 Handloom Pure Chanderi Sarees – Shop Online!